It is a requirement of your Agreement, that the goods are protected against Theft and Accidental Damage. We can arrange Theft & Accidental Damage Cover for £1.90 per week. It is a requirement that products purchased on a credit agreement are insured. We can offer Theft and Accidental Damage Cover for £1.90 per week. 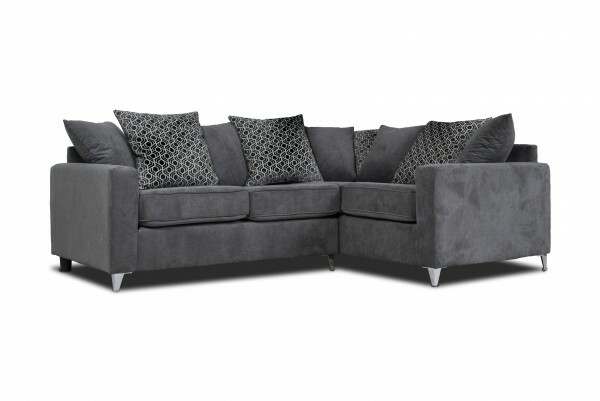 This corner Alexis sofa crafted in a grey fabric will be the talking point of your room. Not to be ignored, this corner scatter brings both style and sophistication and the most exciting bit is that you can complete the look with the 2-seater sofa, 3-seater sofa and chaise being available. Pay weekly, live stylishly.